Getting pregnant at the same time among friends is more common than you think. Finally getting pregnant and starting a family with your husband is a momentous occasion, but to have babies at the same time as your closest friends? Researchers analyzed data on 1,720 women who participated in a national study of adolescent health in the United States from mid-1990s to mid-2000s. They tracked female participants who were at least 15 years old in 1995, and through home interviews done for the study, researchers found out that more than half of the women bore a child by the time the final interviews were finished in 2008 or 2009. “We found this effect to be short-term and inverse U-shaped: an individual’s risk of childbearing starts increasing after a friend’s childbearing, reaches a peak around two years later, then decreases,” says Balbo and Barban. These findings complement a previous 2011 German study where researchers concluded that friends had significantly stronger effects on fertility than siblings. 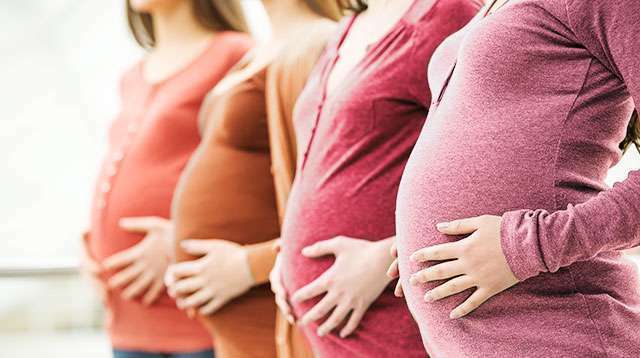 In that study, researchers said that the likelihood of a woman getting pregnant increases with every peer who has given birth within the past three years. Apart from getting pregnant at the same time, another report published in the Demographic Research says that there have been “extensive historical evidence on the correlation between friendships and birth rates.” Here, researchers said that social mechanisms may affect friends’ decisions to have a small or large number of children. 1. Social learning. Women may be more inspired to become mothers when they see a close friend being successful at it. 3. Cost-sharing. If close friends get pregnant at the same time, they can save on money by coordinating activities and childcare. Whatever the reason may be for this phenomenon, having a friend to share your journey with should feel incredible, especially since you’ll be enjoying the perks of being pregnant together!